Because we must, a photo by The Bacher Family on Flickr. 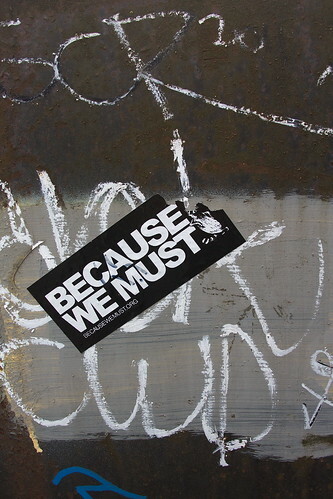 I really have no idea what becausewemust.org is... it just made a cool urban graffiti image, and seemed appropriate given that we were in the middle of a 5K walk for Multiple Sclerosis! I like the combination of horizontal, vertical, and diagonal lines and the simple palette of colors. Makes an interesting shot!